Alpha truck top canopies are extremely stylish, strong, reliable and durable. A deep lustre DuPont paint finish gives an excellent finish to the Alpha hard top and is used by many vehicle manufacturers as there chosen paint partner. As well as their attractive design, Alpha truck tops have many practical features. The 6-point fitted clamping system means that the Alpha canopy can be fitted without drilling the pick up and allows for simple installation and removal when required. 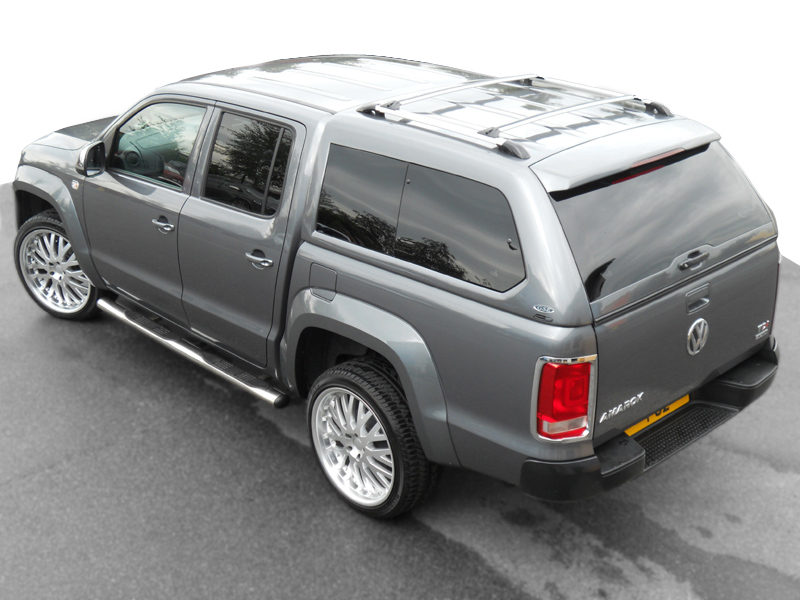 The Alpha hard top rear door has a reinforced frame for durability, a modern style handle supplied with two keys and a patented stainless steel wing lock system to ensure your goods remain safe. No other hard top canopy manufacturer offers these unique patented features.